That’s also a great description of what starting a business is like. As an entrepreneur, your goal is to be smart and “live” in the best of times, while avoiding the mistakes that usually lead to the worst of times. But this is easier said than done—it’s all too easy to experience legal troubles, some of which may not even your fault. That’s why it’s so important to keep your new businesses legally sound and secure. How do you avoid making legal mistakes? It’s astonishing that almost half of small businesses (47 percent) have never consulted with a lawyer. Good legal counsel is essential and can certainly be a competitive advantage for business owners who have to manage both opportunities and potential risks. However many SMBs are still under the misconception that seeking legal advice is too complex and too expensive. In the next quarter (not to mention the next couple of years) small businesses could experience significant changes—and some will be out of the owner’s control. With the right legal representation, fortifying the legality of your business is something every owner has the power to do. Although the majority of American businesses are sole proprietorships—meaning there’s no legal distinction between the business and the owner—this business structure has major disadvantages. By choosing to incorporate, your company becomes a separate legal entity that conducts business, generates incomes, and assumes its own tax and legal liabilities. Besides reducing your personal tax bill as an owner, incorporating can reduce the chance your personal assets (car, house, bank accounts) will be at risk if your company gets sued. 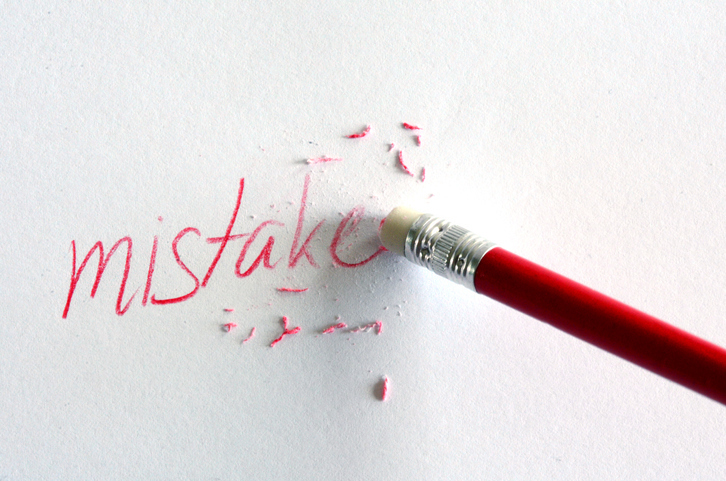 Another common mistake is choosing the wrong business entity once you decide to incorporate. There are various business entities to choose from, such as: C corporation, S corporation, LLC, and nonprofit. Each corporate structure has different implications for expenses and procedures, legal liability, taxation, and fundraising, so consider your present and future requirements when making your decision. Consider speaking to both an attorney and a tax advisor to get the big picture on what’s best for you. 3. Not protecting your intellectual property. It doesn’t do you much good to come up with the “next big thing” if you don’t have control over its ownership. There are four types of intellectual property: trademarks, patents, trade secrets, and copyrights. A trademark is a symbol that distinguishes and identifies your startup’s product. You can acquire trademark rights through the consistent use of a mark even if that trademark is not registered. However, when push comes to shove and you need to enforce your trademark rights, it is helpful to have that mark registered with the U.S. Patent Office (USPTO). Copyrights protect written works and apply without registration. To help protect the rights of your copyright, mark your written works with a copyright symbol. For extra protection, you can also register your copyright with the USPTO. In the event that someone infringes on your rights, you can send copyright notices and cease and desist notices to those at fault. Trade secrets are your business’s proprietary practices and/or knowledge, and they can be highly valuable. Think of Coca Cola’s secret formula. They’ve kept it under wraps for over a century, and you should strive to do the same. It’s actually fairly straightforward to get legal protections for your trade secrets. Ask anyone who has access to your proprietary knowledge to sign non-compete agreements and non-disclosure contracts before you reveal anything. Patents must be applied for, and although the process may take several years, you can generally notate “patent pending” to communicate to others that a patent has been applied for. It is also smart to include provisions in employment agreements that specify who owns the patents that are developed using company resources. If you are unable to assert your rights to your intellectual property, you may inadvertently surrender your claim to essential components of your business's success. 4. Not following employment best practices. When hiring employees, don’t forget to have them sign an Employment Agreement, where you can clearly lay out your employees’ responsibilities, rights, and obligations. If you are hiring independent contractors or consultants, your agreement should also include their service fees, length of the agreement, completion date, and what the consequences are for a breach of contract. Small business owners often misclassify W2 employees as 1099 contractors, which can ultimately be a costly mistake. It’s just as important to properly classify your W2 employees as exempt salaried staff, rather than non-exempt hourly workers, who, by law, are entitled to overtime pay. When putting together any of these agreements, don’t forget to include an arbitration clause. It could keep you out of court in the event of a conflict and save you a lot of money. Employees usually know a lot about your company, so take steps to keep your any confidential information safe. This type of information may include your new company’s business practices, product ideas, compensation packages and more. Make sure employees and independent contractors sign a Non-Disclosure Agreement. 5. Not getting agreements in writing. While creating a contract doesn’t take much time or effort, skipping this important step can have significant consequences. Whenever there’s an agreement of any kind, you should write a contract and get all of the parties to sign it. This helps ensure everyone is on the same page, and most important, creates a written record of the agreement. Hopefully, nothing will go wrong, but if you have the agreement in writing, you’ll have a much easier time proving your case in court (or in private arbitration, which you can stipulate in your agreement as well). 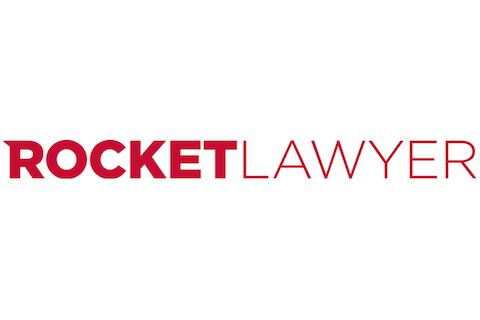 The Rocket Lawyer site has many of the business legal documents you’ll need. Remember, written agreements protect everyone involved. It’s likely to only take a short amount of your time up-front, but it can save you thousands of dollars in legal expenses and losses at a later date if a dispute comes up. When you’re in the throes of startup, it’s all too easy to make one of the mistakes Moore mentioned above, assuming you’ll get to them at some point. Don’t make another common mistake and wait—now is the time to make sure both you and your business are protected.